The Sloths and I ($30 – Click to Purchase, ISBN: 978-1-937536-29-9, LCCN: 2013904133, 32pp, 30 illustrations, 8.5X11″): A girl grows tired of her suburban life and runs away to the Amazon jungle, where she meets a group of talking sloths and enjoys some intense relaxation and lots of fun. Has she found a new home or will her home call to her? This is a great book for kids, one full of fantastic descriptions and original artwork. Anna Faktorovich is an English professor, poet, illustrator and book publisher. She has traveled to Italy, Israel, Ukraine, China, Canada, and all over the U.S. in her search for amazing creatures and adventures. She did over 28 illustrations for this book. 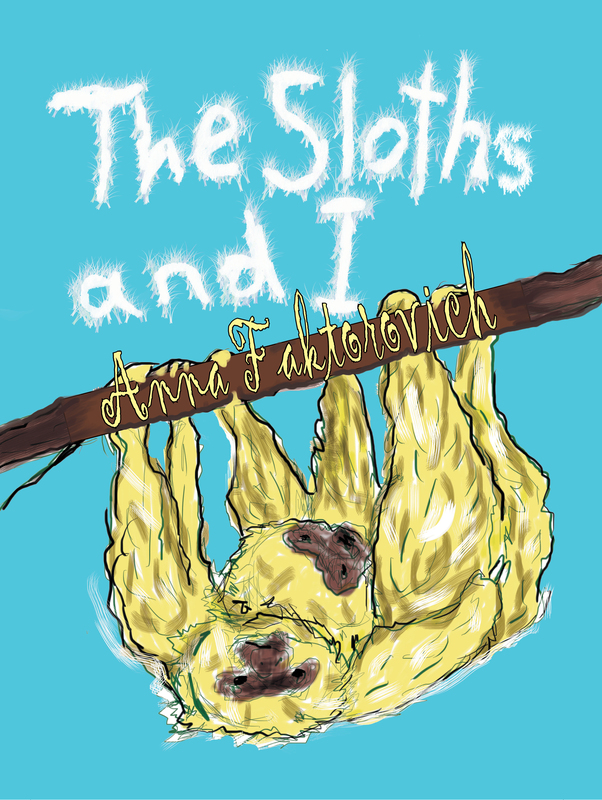 “The Sloth and I” is a wildly colorful illustrated verse odyssey describing a girl’s imaginary escape from ordinary suburban life and daily boring chores to a meeting in the trees of an Amazonian jungle with a tribe of talking sloths. Here she learns to take life easy and slow with the three toed sloths in the trees. Brilliantly hued illustrations with expressive black, wandering outlines help create a half-perceived blending of different realities. Strangely enough, after days and nights of hanging, sleeping, eating bananas, and dreaming, the girl begins to miss home and hunger for more exciting adventures. She cries and the sloths wish her farewell, gifting her with a banana for the road home. “The Sloth and I” is an interesting experiment in escapism for children, teaching that in order to go there and back again, you must create your own unique way. “The Sloth and I” is unusual and inviting in its explorations of colors, shapes, and exotic ways of living (with no chores). It definitely invites children to think beyond perceived boundaries and to experience the distant and unimaginable.